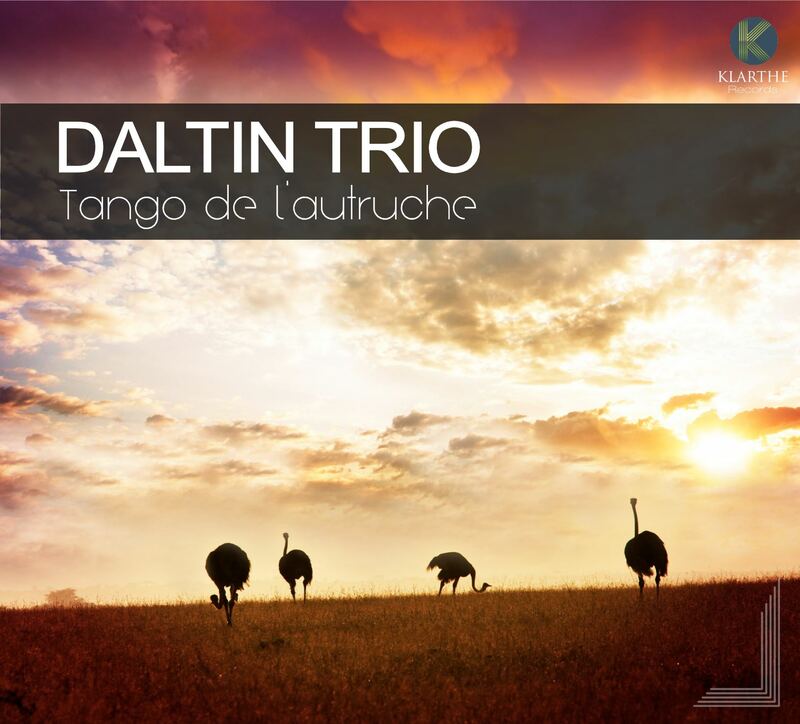 The Daltin Trio offers a music that is largely inspired by jazz. However, behind the atmosphere of this referential music one can make out the flurry of a waltz to the tunes of popular music and, if we listen even harder, a tarantella will carry you away to a distant dance, under the Chinese lanterns, to the tune of an accordion. 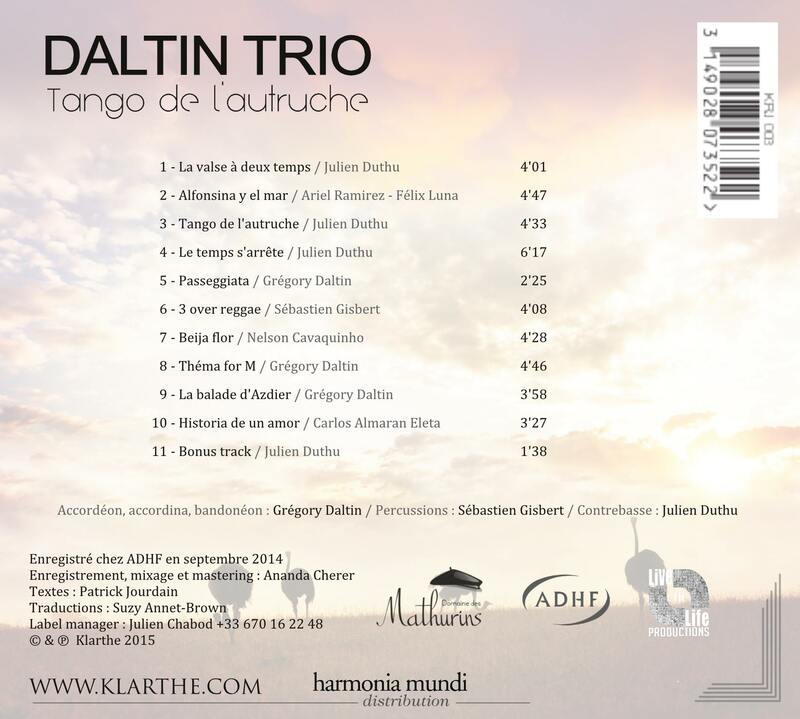 From the musical style of these three artists, under the guidance of Gregory Daltin, we can hear music influenced by Nu Jazz and Bebop, with a powerful and strong rhythm, which seems to leave a melody in the hollow of the ear like a popular tune with a perfect balance. But before searching for the origins which have influenced the music of these three artists, more important is to find the path that leads us there. A surprising path indeed as, over and above the talent it is the inventiveness which nourishes the exhilarating simplicity of a repertoire which, naturally, will carry the beauty and virtuosity of this music, as yet unheard, a long, long way.